Castors or casters, no matter how you spell it — they’re a great way to protect your floors, add style and increase the flexibility of your furniture. With various options available, selecting the right type of castors can be something of a daunting process. 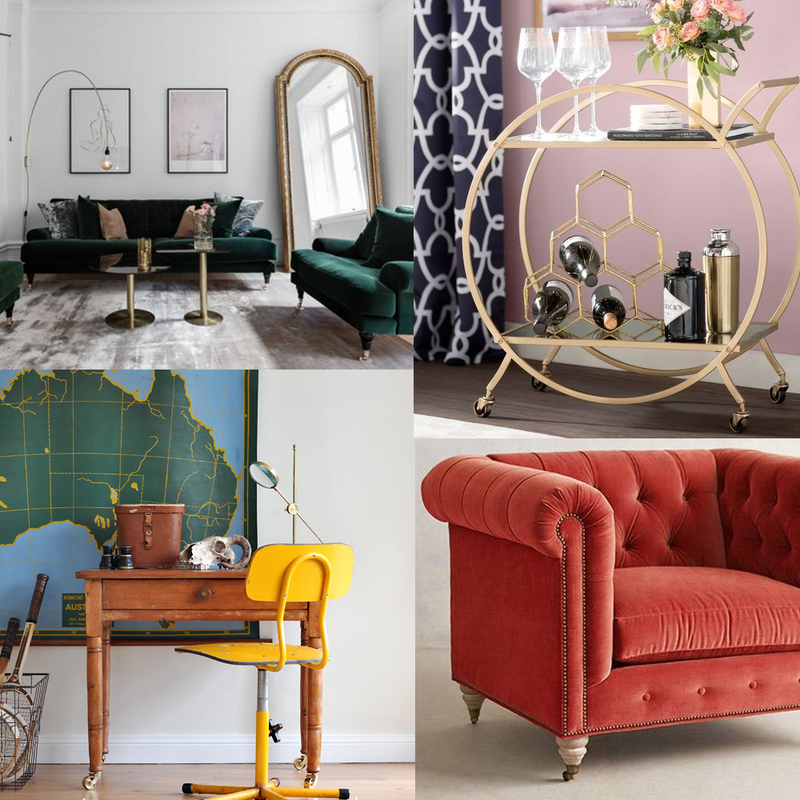 So, here are a few simple tips to help you choose the right type of castor for your furniture — hopefully saving you some time and money along the way! One of the main things to consider before selecting castors is to determine the load they are expected to carry. If you’re using castors for heavy furniture, grip neck castors and screw castors are a very good option, as they're designed to carry a large weight. Most of these castors come in different sizes, ranging from 19mm up to 100mm (you can choose the right size depending on the size of your furniture). See our range of grip neck castors. See our range of screw castors. Castors with cups are more suitable for sofas and chairs. The cup is used to attached the castor to your sofa or chair legs. These cups are available in various sizes, so it’s important that you measure the cup properly to ensure that your replacement caster fits the wooden leg. Here’s our range of cup castors. The floor surface is another important factor to consider before selecting castors, especially if you’re looking to use castors on hardwood floors. Rubber wheel castors may be a preferable option here, as they can protect your floor from scratches and you can easily move furniture around without much noise or disruption. If you’re using castors on carpeted floors, then castors without a rubber wheel is a good option. However, If you’re using castors on both carpets and hard floors, then you can buy glides or castor cups to use with them. Glides and castor cups prevent marking on a carpeted floor, and, with the addition of felt pads can also protect the wood and hardwood flooring. See our selection of Castor Cups and Glides. We hope these simple tips will help you choose the right type of castors for your next project. Of course, if you have any questions you can drop us an email customercare@heritageupholsterysupplies.co.uk.